Who inspired Prime Minister Netanyahu? The Rebbe told me...remember that in a hall of perfect darkness, if you light one small candle, its precious light will be seen by everyone. Your mission is to light a candle for truth and for the Jewish people... that's what I've tried to do ever since, and this is what we are all asked to do." I was touched by one of the greatest Jewish leaders, not just of our time, but of all time....The Rebbe was my satellite navigation system, showing me where to go and how." The Rebbe's leadership, scholarship and insight have inspired a generation. If you met the Rebbe, how would he inspire you? For the first time ever, a selection of the Rebbe's transformational life teachings are being presented in a powerful six-week JLI course. Have more fun and come with a friend. Register with a friend and save 10%! There's a reason why JLI (Jewish Learning Institute) is the most popular Jewish adult education program in the world today. JLI courses are fun to learn and interactive and enjoyed by beginner or advanced students alike. As a registered student you'll receive to keep a professional student book, and best of all, you'll walk away enriched and uplifted. Chabad of the Bay Area is a registered affiliate of the Jewish Learning Institute. 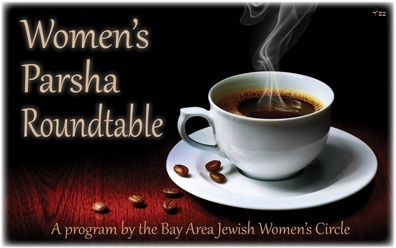 After taking a short break for Passover, Women's Parsha Roundtable is resuming this Wednesday. Gather over some coffee and cake for an informal discussion on the weekly Torah portion. Casual, social setting, no prior Torah knowledge necessary! Between the holidays of Passover and Shavuot, the Omer is counted each evening, signifying our preparation for the receiving of the Torah on the holiday of Shavuot. It is a time dedicated to personal growth and character refinment. For historic reasons, this period is also a somber time in the Jewish year when weddings are not held (along with other practices). Join us this Shabbat morning, Saturday, April 19, for a morning service followed by a kosher for Passover Kiddush lunch. Service: 10:15 am, followed by lunch at around noon. RSVP suggested by replying to this email | Free of charge! 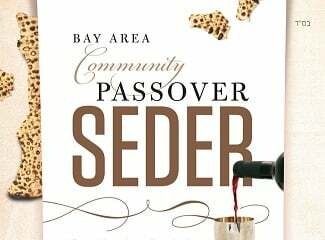 The Chabad of the Bay Area Community Seder brought 70 people together for an evening filled with meaningful insights, discussion, joyful song and delicious food. New JLI Course, Paradigm Shift, to start May 4th and 6th in Galveston and Clear Lake. Paradigm Shift is an elevator ride to the heights of what is possible. Synchronize yourself with the mission for which you were placed on earth, and learn to recognize the inherent goodness and perfection in yourself, in others, and in every circumstance of your life. For more information: www.JBayArea.org/4JLI | JLI@JBayArea.org | 713-398-2460. Finish burning remaining (unsold) chametz by 12:16 pm. We'll be hosting a Chametz burning 11:15 to 11:45 am at 1910 Claiborne Dr, League City. Short Evening Prayer Service (Maariv) at 7:30 pm. At 1910 Claiborne Dr.
First Seder after nightfall. Key Mitzvot of the Seder are eating matzah, maror (bitter herbs), drinking four cups of wine and relating the story of the Exodus (Seder guide). Light holiday candles (from a pre-existing flame) after 8:23 pm. 2nd Seder follows same order as first. Passover continues through Tuesday, April 22nd at 8:28 pm (time is local to the Clear Lake Area). A detailed schedule for the last days of the holiday will be included in next week's Jewish Wave. Look for THIS in your mailbox today! You should be receiving the flyer for the new JLI course, Paradigm Shift: Transformational Life Teachings of the Lubavitcher Rebbe, today or within the next few days. Check it out! This will be a course you just do not want to miss! 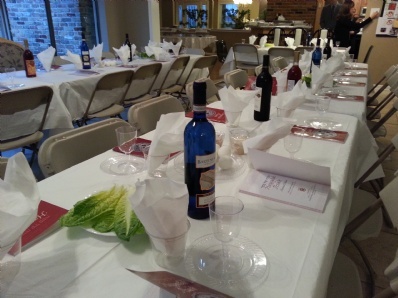 Time to Reserve: Community Passover Seder! * If you would like to join for the 2nd night, please contact our office. Because we can't always get rid of all Chametz (leavened products), there is a simple solution which involves selling our Chametz to someone who isn't Jewish for the duration of Passover. Click here to do sell your Chametz online. It takes just a minute and is free. We are nearly sold out, so please order right away! New JLI course coming this May! Watch your mailbox for a card about the exciting new JLI course called Paradigm Shift! Distilled into six succinct lessons, this empowering course offers a revolutionary outlook on life, culled from the wisdom of the Lubavitcher Rebbe, Rabbi Menachem M. Schneerson, of righteous memory.